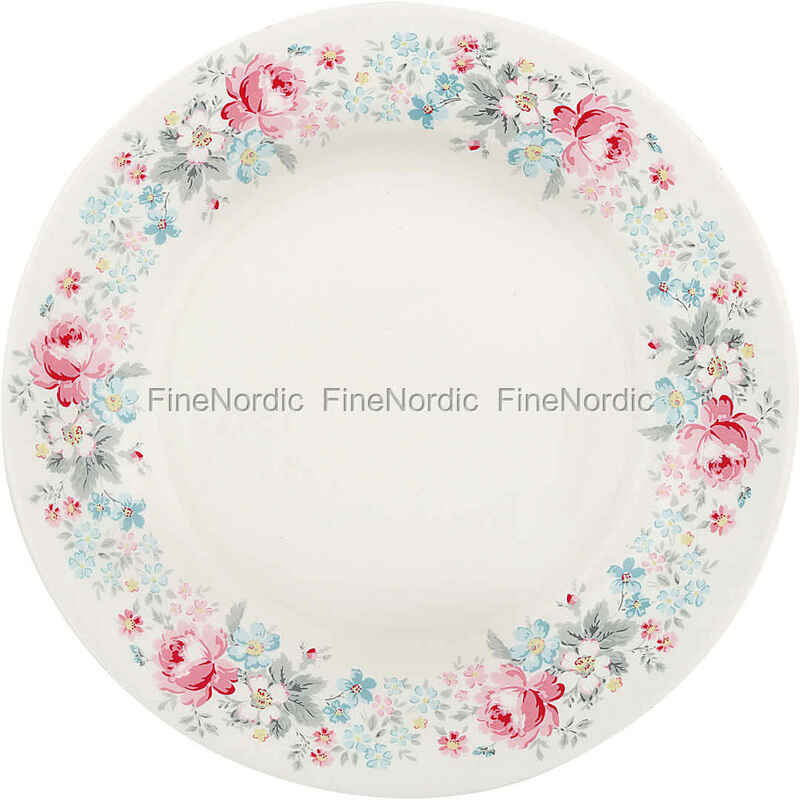 This GreenGate plate is called Marie Pale Grey. It is white and has a stunning floral pattern along the edge, which makes it look very elegant and unique. On the plate are both larger and smaller flowers in different shades of blue, pink and grey displayed, which harmonize fantastically. Combine Marie Pale Grey with plain-colored dishes or place it next to other products from the GreenGate Marie Pale Grey series and you will have your table set beautifully in no time.